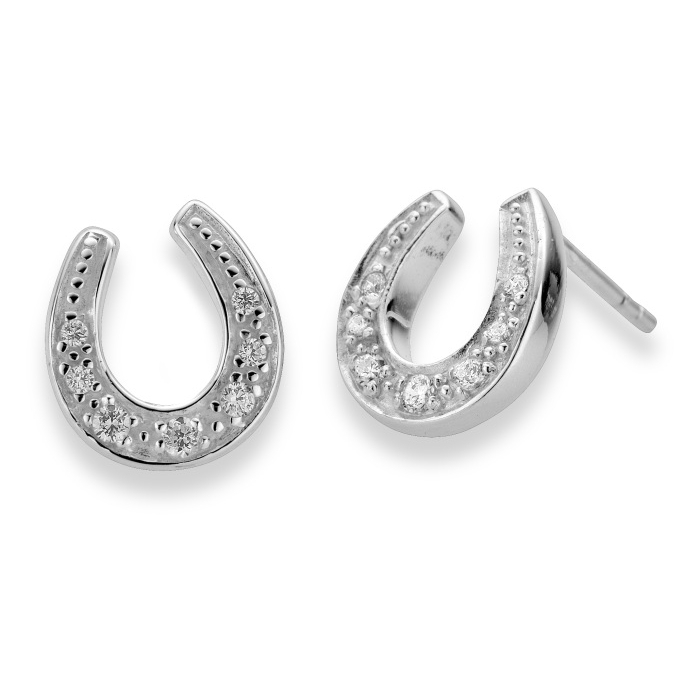 These dazzling horseshoe earrings from our horse jewellery (jewelry) range are made of sterling silver and set with cubic zirconia stones. Stand out in the crowd at any social occasion or get noticed in the office with these beautiful, sparkling show stoppers which are sure to bring the wearer good luck! Measuring 11mm high, they come presented in our black leatherette presentation box.